• Fill your home with books! 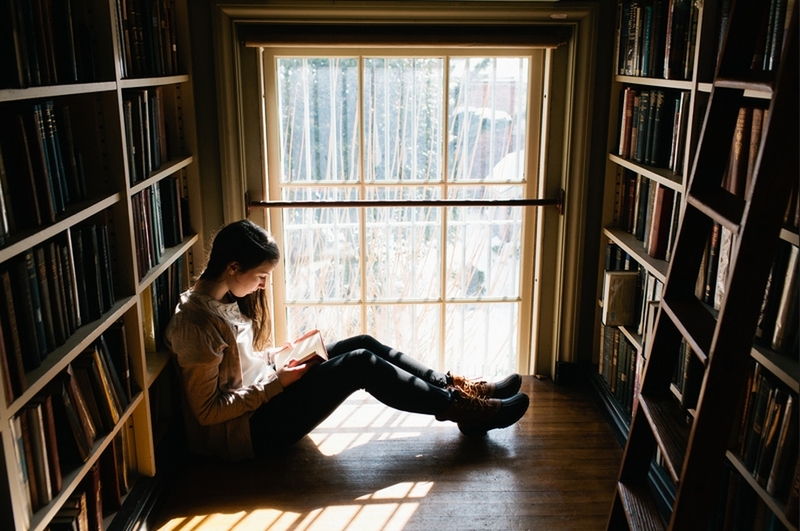 This plethora of articles all tout the benefits of reading. It seems people are waking up to the notion that personal electronics can never substitute for a good book (even an electronic one). Many readers are familiar with the Lewis Family Book Obsession. At one point we have over 5000 volumes in our home. We've trimmed back considerably -- donated many books to local thrift stores, gave a lot of our now-unneeded schoolbooks to a homeschooling friend, etc. -- but we still have a lot of books. And I wouldn't have it any other way. Younger Daughter has it tougher. Being in the Navy, all her possessions must be portable, so she's pretty much limited to a Kindle. I own a book called "A Gentle Madness: Bibliophiles, Bibliomanes, and the Eternal Passion for Books " which documents people far more obsessed than we are regarding books. While I doubt we'll ever reach these extremes, I can understand -- thoroughly understand -- the siren call. As get we older, Don and I are paring down our possessions, but no matter how far we go, we'll never get rid of our books. In my opinion, a home without books is a sterile place indeed. I've never counted how many books that we have but we have tons. Every time our oldest comes home for a visit, she takes another box full. I just read 'Common Sense' by Thomas Paine. The 'plain language' that Paine used spoke to the common people of America in 1776. It was just 29 pages and a real piece of history. But it was a fairly challenging read to me. I do have a some STEM degrees and am not totally ignorant as some here have implied. It is definitely beyond the comprehension of the government-schooled of today. Available at Amazon hard cover for $9. 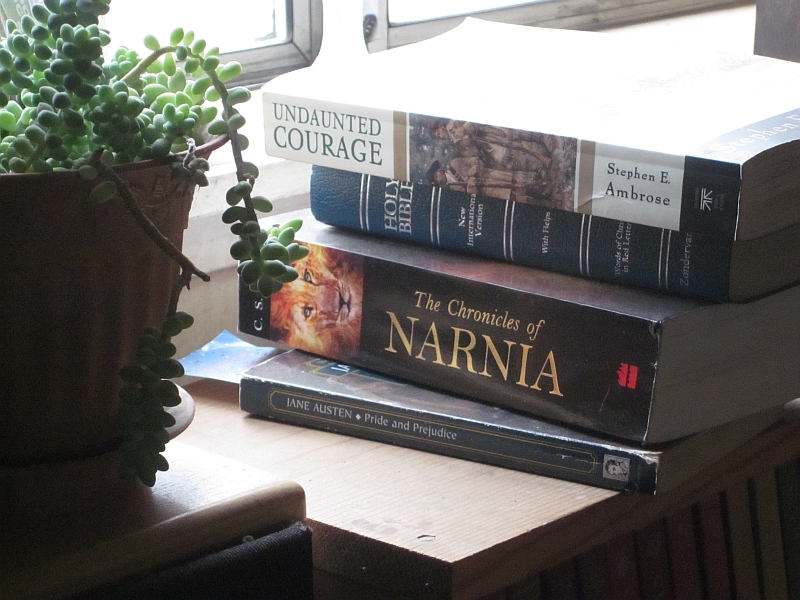 I think we're going to miss books when the grid goes down eventually. It runs in the family... Jim used to look askance when I would come home from the thrift store with a pile of "new" books. I gently explained that this "affliction" of mine was probably something he should be grateful for. I wasn't at the mall. I have always been a reader. That was slowing WAY down about 10 years ago because I could just not see well enough to read books anymore. I then discovered Kindle for your computer which gives me the ability to blow the text up to about 3/8" tall letters. I have been reading up a storm ever since. I also have an appointment with an opthamologist next week to see if my eyesight can be improved. I may look for a monitor larger than 24" too. One of the best things my wife and I managed to do is make our son a reader as well. It may have to do with all the reading out loud we did when he was a very small child. 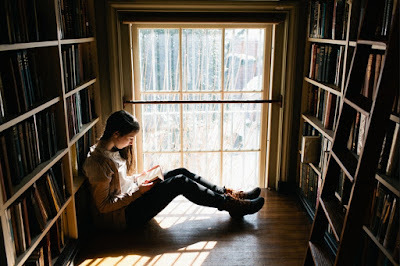 There's one thing that global travellers get to experience that most people never do: books are often assessed for customs duties, and so when you move, your entire library can come up for a huge customs bill. Whereas my digital library on various tablets and phones, all of which has been made more accessible through the (legal) removal of DRM, is only around 1700 books, my physical library used to weigh around 11 tonnes. Even what I brought with me to the States weighed 4 1/2 tonnes, and although the US generally doesn't charge customs duty on books, the US customs people can charge customs duty if they think you're a merchant of books. This will never come up for Younger Daughter as her digital books are non-transferrable (as per current law) and thus aren't an asset that needs to be itemised and sorted through by customs. Wonderful..my dear daughter married a really smart man with many skills..he built a beautiful house without much help and can repair many different mechanical things..but we found out that he can barely read or write. Very frustrating for my daughter at times. When we first visited his parents home, I noticed that there were no books anywhere to be seen.. My daughter reads to her two boys constantly as do my wife and I..we all love it and I'm seeing how it frustrates Jim..he can't take part. His mother is a teachers aide in public school and is very negative towards her students..she was very negative and still is to her own son..he knows what happened to him and understands what reading to you child does for them. Sorry, I get kind of lost when I try to make sense of his family's failure. Thanks for the great blog..book on .. The printed word (books) is my go to when I have questions about something. I can underline points of interest . If or when there is no electricity there are books , no batteries required .Books are informational, enjoyable, stimulating, and the not so good ones make a doorstop. I must be an extraordinary ordinary person. 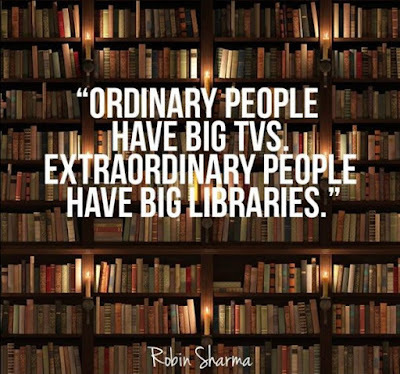 I have a big TV but you have to step over a pile of books to get to it. I read, my husband reads, we read to our sons when they were younger, we have tons of books; yet our adult sons are not readers. I have to say I find it puzzling that they don't read. Maybe as they get older they will become readers. I guess I have been blessed to be in a family of readers And have passed that on to our kids (now grown) and grandkids. You come across a good read (counting by 7's)and send the word out to the fam. and get back 20 more good reads. Gotta love it! Also, I just heard about Dolly Parton's Imagination Library and I don't think many others have, so I'm here to share. It's only available in some areas but you can put in your zip and find out. BUT you sign your baby up and they will receive one book a month for the first FIVE(5)YEARS of their life!!! Can you believe it? My Grandniece (born July) just received her first book. Here's the site. https://imaginationlibrary.com/ There's links for sign up, donations and starting a program in your area. It's worth a look. I like dead tree books and we have 11 bookshelves, with more than a little double stacking. I also downloaded the entire Gutenberg site and grab whatever e-books that make sense. We have grabbed at least one of the e-book collections that Patrice has promoted and we purchase the Survival Blog archive every couple of years. These all get stored on our Doc server and a handful of USB drives. I am concerned about book burning and revisionism. The tiny books remind me of what was called Little Leather Library which was published in the 1930s. It consisted of a collection of short books--many by well-known writers of the 1800s--that were about 2" by 3" with a simulated leather cover. My parents had a set that I read through over and over in my early teens. We could afford few books by then so these meant a lot to me.